Always Pass Driving School - Learn to drive with us. Whether you’re a complete beginner, or have had driving lessons before, we can help you to pass your test! We offer driving lessons in a manual or automatic car, and all of our cars have dual controls. A Pass Plus course can give you confidence after you have passed, and when you’ve completed the course you may get lower car insurance costs too. 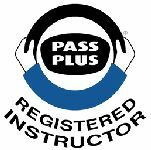 Pass plus is the perfect course after you have learnt to drive. Click to book a driving lesson now! We have the experience to teach advanced driver training. We recommend at Always Pass that you take a ROSPA or DIA training & test. The driving test is taken with an off duty Police Officer. We can help to train you and guide you through the process of becoming a taxi driver. The training can be carried out in your own car if you prefer. Learn to drive a taxi with us. 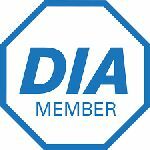 As qualified fleet trainers, we are known as the trainers on the list from the ‘Driver and Vehicle Standards Agency registered fleet driver trainer section on their website. Training packages start from £295 per day per person. To become an ADI you must complete three qualifying tests. Part one tests your theory knowledge, part two tests your driving ability and fitness, and part three tests your ability to instruct learner drivers. You have to take at least one ADI standards check during each 4-year period that you’re registered as an ADI. We are looking for instructors who want to join our team with the same drive as ours, to be successful in your career. So to help you become great, our franchise options can be tailored to suit your needs.